We all have unfinished work to do: storage cleaning, gardening, household chores, help with various events - sound familiar? 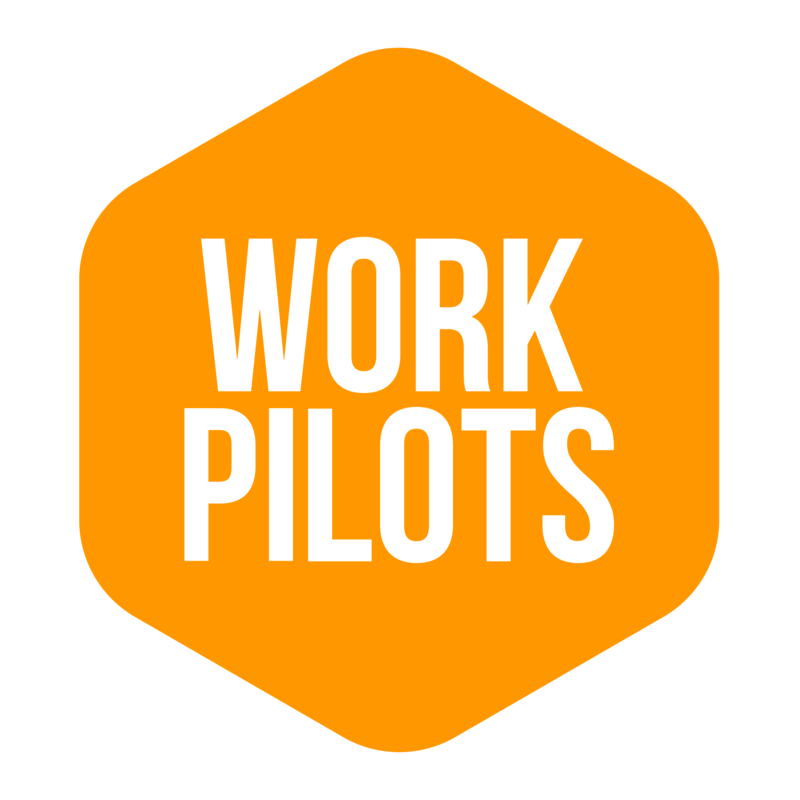 With WorkPilots, you'll be able to find workers close to you and at the right time. By assigning a worker through WorkPilots you will not only ease your own work and your colleagues' work, but also give someone a chance to earn money and gain valuable work experience. A great example of taking responsibility of helping the young in your our own area. Ordering is easy: 1) Publish an order, 2) select the appropriate worker and 3) give the worker feedback when the job is completed. WorkPilots takes care of all the other bureaucracy. Select 'NEW ORDER' (in the mobile version it is on the bottom of the screen and in the web version on the right edge of the screen). Note - you can’t create orders if you haven’t defined a payment method - therefore you must first register your payment card or ask for a billing option (for larger amounts). You can also use PilotPoints as a payment method, if you have those (if you have bought those or somebody have donated those to you). You can find own article about PilotPoints on our support page. 2. Location of the job (where the task will be done). Location can be defined to be your present location or choose some other location on the map. You can also write other address to the address field of the order form. 3. Write duration (in hours), description of the task, and desired time when the task should be done and other information (in the web version this is on the task confirmation page). Here you can also choose, to which group this task is meant to and the task will be shown only for this group. (More information about groups below the photo). We've added an opportunity to target the order for a specific group. If the order uses a group in the order, then that order is visible only for those users, who are in that group. When the orderer is creating an order, orderer sees how many users are in the specific group (number inside brackets is the number of users in the group). Before we get all the users to register into groups, it may be better to create orders so that they are visible for everyone. So now it may be better to create orders without targeting an order for specific group. - Part of these groups are "public", so workers can join there by themselves, if they have needed skills, abilities or certification, for example driver's license. In this case the order is only visible for users who have driver's license. Worker insures that he/she has that needed know-how/skill/etc, if he/she has joined in the group. - Private certified" group are agreed with orderers and workers. For example we can create own group for company or group of companies and this is available only for agreed orderers. Contact us, if you have need for own group / pool of workers. Below there is a screen shot of the view where you can choose the groups which you want to target the task to (number of users of each group are shown inside the brackets) and after that a summary of the order. Then just press publish, if all the information is okay. It might also be good to mention when the application period ends, if it is known. When you are selecting worker to the task, service asks after selection, would you like to select more workers - by clicking "yes" worker is selected and this worker is selected to the order copy made from original task order and this worker is removed from applicant list. This order copy made from original task order goes to "on going" tasks, but original order and applicants which have applied to it, still remains there in open tasks. This way you can choose many applicants to it and create own task for everyone of those. If you select "no", order continues with selecting one applicant. Please remember to remove that open task order as soon as you have selected all the applicants you need or press "no", when you are selecting the last applicant. Please note that the description you write for the task is shown in the work certificate that the worker receives and is valuable for them in gaining work in the future. If you can not find or do not select workers for your order, you will not be charged. Payment methods in WorkPilots: debit/credit card, billing contract and PilotPoints. With PilotPoints you can pay task orders you have made. In the end of the task order form payment method is asked and there you can choose your payment method between debit/credit card or PilotPoints, if you have those on your WorkPilots account. When you are making an order with your mobile device, input all the task information first, then press "Publish". After it system asks, which payment method you would like to use. Click the payment method you want (Debit or credit card / PilotPoints) and after it confirm order with your PIN code. After that your order will be published in the system. You can see the total amount of your PilotPoints on the front page of the service. To see the prices of PilotPoints check here. You can start making an order from the front page of the service - select new order - and fill in the information of the order. After previewing the order the system asks for payment method (for example payment card or PilotPoints) - select PilotPoints. Please notice that you can create an order with a value higher than your current PilotPoints total, but in this case, buy more PilotPoints for yourself before you choose the worker, because you can't use two different payment methods on one order. When choosing a worker the system checks the amount of PilotPoints you have and you can't choose a worker, if you don't have enough PilotPoints. So make an order for the amount of PilotPoints that you already have or buy more points to yourself first. Hopefully you will get a suitable worker to accomplish your task. Can I create orders for the evenings or weekends? Yes. As this is not a traditional employment contract, you do not need to pay any extra compensation for work done in the evenings or on weekends. The hourly rate is always the same. These are the screen shots of the copy the order -button in the web version and the copy the order -view in mobile app. Task can be shared and that way you can spread the word about open work task. In the web version, when you open the task information, there are some buttons on the right edge of the page. There is a curved arrow -button, which is the share-button. By pressing that it will show you all possible social media -channels, where you can share the task. Or you can also send the link via e-mail for example. Once you have received applicants for your job, scroll through the candidates and choose the most appropriate one. Only when you choose a worker is the order confirmed and the cover charge is made on your card. When browsing orders and applications, clicking a user's image will show the user's previous feedback (for both the worker and orderer). (In the web-version, when you click applicant's picture below the task information, two options, "Profile" and "Select" appear. You can check applicant's profile and see his/her information and earlier feedbacks, if he/she has done work tasks before. There are often many young people who have not been selected for any tasks yet, so depending on the nature of the task, we encourage you to also choose them for tasks. This will allow as many people as possible to gain valuable work experience. Remember, some jobs may have age limits prescribed by Finnish law. When the worker is selected, the status of the order changes to ‘you have chosen the worker, the job is waiting for completion’. The worker will be sent a message that he or she has been selected for the task and will then be able to execute the order as agreed. However, make sure that the worker has seen your choice and is able to complete the task - especially if you choose the worker at the very last minute. You can also send him or her a chat message via our App services or contact him by phone or email. If any new needs arise during the task, it is also possible to create a new order and choose the same worker for the job. This way the task can continue seamlessly with the same worker. The task duration can never be reduced, the charge is always made according to the amount of time ordered. After the worker has marked the task as completed, the payment will be charged from your card. Orderers can now update their payment method and additional comments even after workers have applied to their order. But after worker has been selected to the task, payment method can not be changed anymore. Once the worker has completed the task, you can accept it and give feedback to the worker. Giving and receiving feedback is an important part of the service. Feedback helps build trust between the parties. Feedback also helps to identify your own strengths and develop your skills. We hope that you will always give constructive feedback to the worker. Not Approved orders are moved to History-section. From the hours you have ordered, you will receive a receipt through our service (from history, open the task and press receipt) and to your email. If necessary, we can also deliver a monthly report.